Entrepreneurs credit the availability of CBD — a legal compound derived from cannabis - and a culture emphasizing holistic living. Long Island businesses that offer products containing cannabidiol, or CBD — a compound derived from cannabis that isn't mind-altering — are growing like weeds. Despite legal hurdles and conflicted public attitudes, entrepreneurs are capitalizing on the hype surrounding the hemp plant. Fans of CBD use it as an alternative healing product, and say it helps them sleep, makes them calmer and relieves joint pain, among other benefits, although scientific research into these claims is still scanty. Some entrepreneurs are cultivating the crop and making and marketing their own CBD-infused oils and lotions. Others are retailing CBD-based goods ranging from herbal teas and bottled water to chocolate chip cookies and even dog treats. 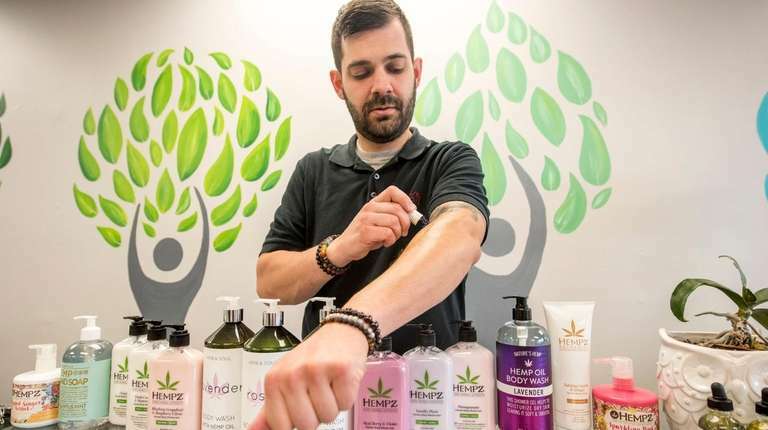 A craft coffee shop in Farmingdale sells lattes containing the oil; massage therapists in North Massapequa use creams infused with it; and health food stores in Hicksville and Huntington have several shelves stocked with CBD-infused products. 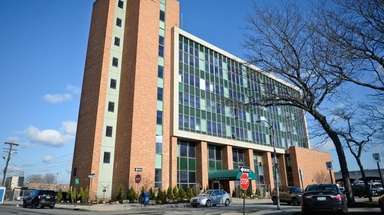 “Overall, as a society, we’ve become more and more interested in health and wellness,” said Erica Chase-Gregory, regional director of the Small Business Development Center at Farmingdale State College. CBD has also found a ready market among baby boomers, who are turning to it for pain management and other age-related health issues, experts and entrepreneurs said. But regardless of CBD's growing presence in stores from Manhattan to Montauk, entrepreneurs say misinformation about what CBD is, what it does, and whether it's legal, is widespread. 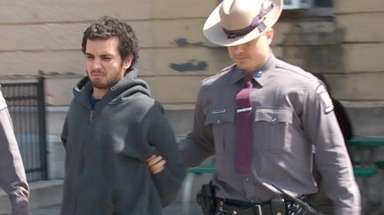 “First of all, no, it can't get you high," said David Falkowski, 41, a licensed hemp grower participating in the Industrial Hemp Agricultural Research Pilot Program administered by the New York State Department of Agriculture and Markets. 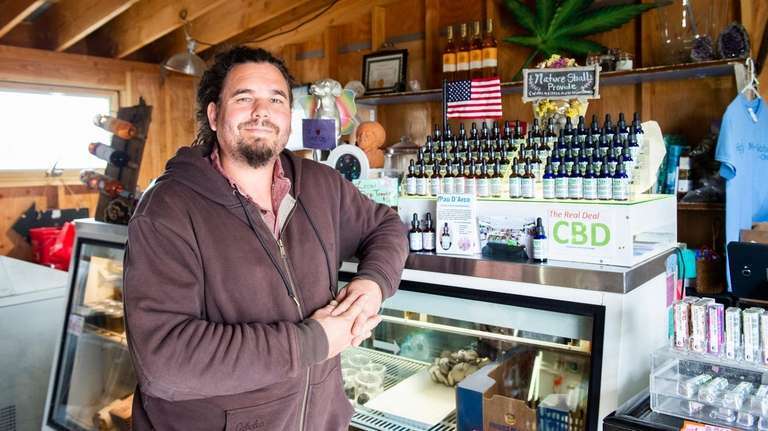 "And yes, marijuana is cannabis and hemp is cannabis, in the same way a cherry tomato is a tomato and a San Marzano tomato is a tomato," added Falkowski, who owns Open Minded Organics in Bridgehampton, which makes CBD oil. CBD can be extracted from either plant, Falkowski said. 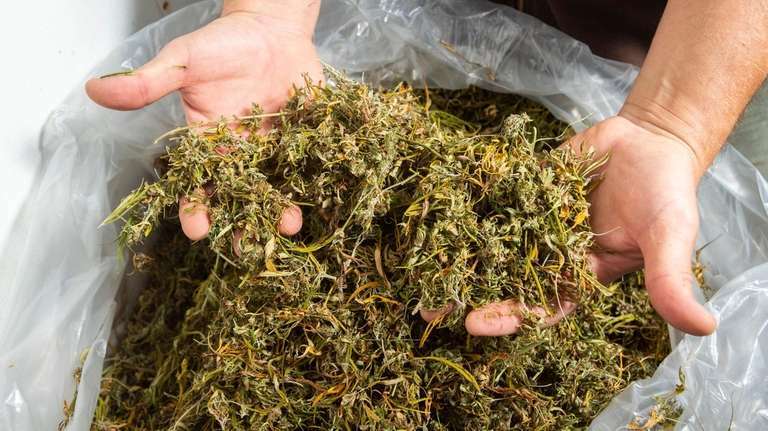 To comply with state Department of Agriculture guidelines for licensed growers and be considered legal, it must come from industrial hemp, which is cannabis grown to have 0.3 percent or less THC, the chemical that makes pot smokers high. If the CBD is derived from marijuana instead of hemp, it's not legal in New York, unless you are a patient with a medical marijuana card. If it comes from hemp, it's legal statewide. Technically, it's still against federal law; CBD hasn't been approved by the Food and Drug Administration or the Drug Enforcement Agency. And the sale of CBD products online is illegal nationally, DEA spokeswoman Barbara Carreno said. Despite the FDA's recent approval of Epiodolex, a CBD-based medication for the treatment of certain types of epileptic seizures, "CBD is still classified as a Schedule 1 drug,” she said. Other Schedule 1 drugs include ecstasy and heroin. Even so, Carreno said CBD enforcement isn’t a high priority for the agency. “We have very limited resources and are actively using them to track traffickers of highly dangerous drugs like opioids and methamphetamines," she said. “CBD in your hand lotion is not the concern that fentanyl is." CBD has been legally available only in recent years; in 2017 New York eliminated a cap on the number of sites authorized to grow and research hemp and allowed businesses and farmers to participate. Experts say the public’s growing interest — sparked partly by consumer inclination toward holistic practices and products, and partly by “Weed,” a 2013 CNN documentary about a young Colorado girl with epilepsy whose health improved after she started taking a high-CBD cannabis — have led to a burgeoning industry. At Flux Coffee, an almost 2-year-old shop in Farmingdale, aficionados can order their craft lattes with soy or oat milk, cinnamon or vanilla, and, for an additional $2, a 15-milligram splash of CBD. 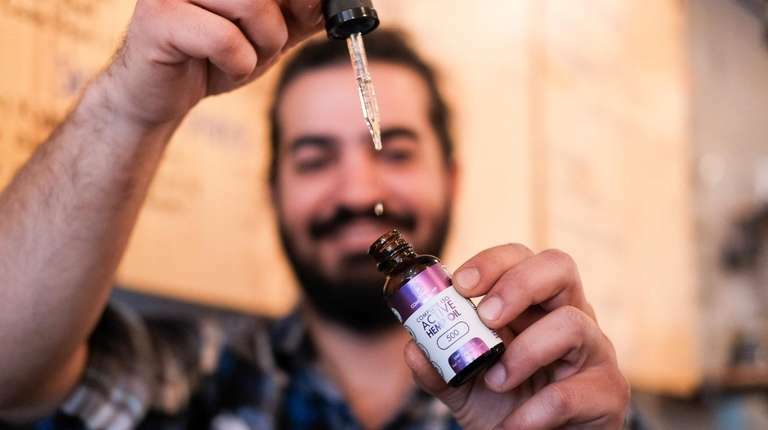 Customers at the shop, where owner Arsalan Pourmand himself built the white- and baby-blue-tiled tables, can also buy beverages that feature CBD as an ingredient, without having to ask for it as an add-on. "I became interested in CBD because I knew a lot of people who were taking it pretty regularly and were taking it because they felt very stressed out, and of course, they all said it was helping them relax," said Pourmand, 33. "As a business owner, I'm always very stressed, so I decided to give it a try myself, and then afterwards I started experimenting with incorporating it into the drinks here at the shop." Pourmand started selling a ginger-lime, turmeric and CBD kombucha, and a "Care Bear latte," a honey, chocolate and cinnamon drink with a flavorless CBD, in July. The Care Bear latte, which at $5.50 costs $1.25 more than other lattes at Flux, now represents 15 percent of drink sales at the shop, "and rising," Pourmand said. "Many of the people who come here are the same people who already use CBD or are interested in trying it." he said. Regardless, customer confusion about CBD's legality and effects is rampant, Pourmand said. "A lot of people ask like 'Oh, you can sell that here?' or 'So how high am I gonna get from it?' or before asking for the kombucha or the latte will look around first and kind of whisper that they want the 'special' latte or 'special' kombucha," he said. Customer Tom LaSala, 30, of East Meadow, has been ordering CBD drinks at Flux for the past six months. "I like it because it of its calming effect. It helps me clear my mind," he said. "And it's a great aid for anxiety and stress relief, too." Some CBD enthusiasts claim it treats ailments ranging from acne to anxiety, insomnia to inflammation, and joint pain to depression and stress. Others go as far as asserting that CBD helps prevent, treat or cure serious diseases like Alzheimer's or cancer. In reference to claims of its effectiveness treating serious diseases, the FDA has a clear message: Stop. "We don't let companies market products that deliberately prey on sick people with baseless claims that their substance can shrink or cure cancer [as well as other serious and even fatal diseases] and we're not going to look the other way on enforcing these principles," FDA Commissioner Scott Gottlieb, MD, said in a statement. He said the FDA has taken action against companies that did not heed this warning. 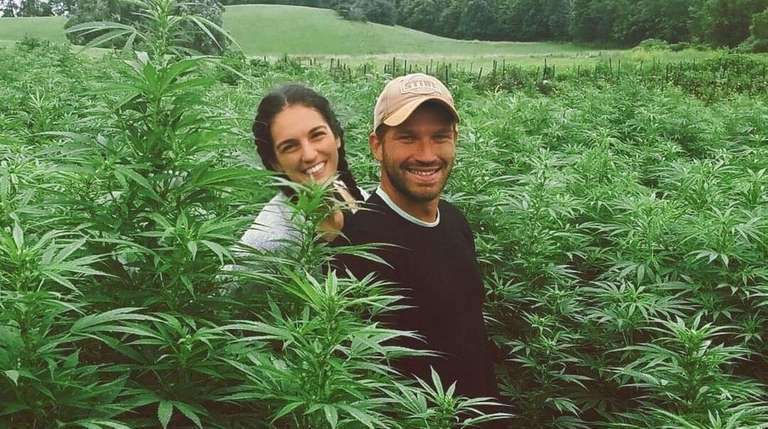 Brittany Carbone, 27, and Erik Carbone, 34, own a 5-acre farm in upstate Berkshire, where they are licensed by the state to grow industrial hemp, and founded Tonic, a Wantagh-based CBD business. The labels on their products make no grand claims, but the couple said they believe deeply in the healing properties of CBD. Brittany Carbone, who worked as a personal trainer and health coach for six years, said she was looking for natural ways to remedy her anxiety when she learned about CBD in 2016. "The results were life-changing," she said. "That's when I had my light bulb moment and knew this was something I had to share with the world." 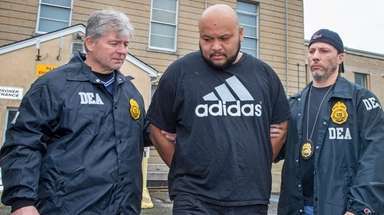 But she said she was unhappy with the 'bitter' and 'alcohol-y' taste of the CBD oils on the market and began experimenting with making her own blends, macerating herbs and straining and cooling ingredients in her kitchen in Wantagh. She enlisted the help of husband Erik to start Tonic. Earlier this year they invested about $15,000 — their savings to buy their first home — to apply for an industrial hemp farming license, buy about 10,000 seeds at about $1 each, and cover other growing-related costs. The first crop was planted in June and harvested in September. "We wanted to supply the best possible product to our customers, and we felt the only surefire way to do that was by growing our own crop," said Erik Carbone. Previously Tonic sourced its CBD from an organic farm in Colorado. The Carbones retail Tonic CBD oils, roll-ons and dog treats at boutique-style health stores, float centers, and wellness shops in more than a dozen states, and sell them online through the company's website. "In January, we logged about $6,000 in sales," Brittany said. "Last month alone, we sold about $60,000 and are on track to surpass that this month. I think it speaks to the high quality of the products and to how effective the CBD is." A 30-milliliter bottle of Chill Tonic CBD oil, blended with ashwagandha, a type of ginseng, lemon balm and passion flower, costs $75 on the company's website but can retail for up to $90. Tonic's CBD products are flying off the shelves at Mission Nutrition, a health food business with stores in Hicksville and Huntington. "The biggest boom has taken place from the start of the new year to now," said Mission Nutrition co-owner Chris Giordano, who along with his brother Anthony Giordano, owns both shops. "We went from ordering a couple dozen oils a month to now ordering about a hundred oils a month, and we'll probably be calling her a week later asking for more." Business is also on the rise at Hemp Smarts Holistic Healing Studio in North Massapequa, says owner Jason DePietto, 34. He sells CBD and other hemp-derived products including water, oils, lotions, body washes, salves, cookies and gummies. At DePietto's shop, which has been open for about a year, most items cost $50 to $150. Customers can also book a one-hour CBD massage for $120. "Some people walk in knowing exactly what they want," he said. "CBD Living Water, for instance, was on back order for a while." In New York State, CBD product makers are not required to label items with certificates of analysis that show consumers lab testing for harmful toxins, pesticides or potency, although some still do so voluntarily. However, the state is developing guidance for the CBD industry, an Agriculture Department spokeswoman said. 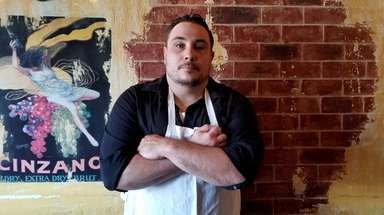 “The problem with these businesses is that there’s little manufacturing oversight in terms of the quality and safety of the CBD-infused products they sell," he said. “Of course, there are some good, clean, properly labeled products, but they’re limited." Lee said he has a deep belief “in the benefits of CBD, and [I] know people for whom a cannabidiol regimen has yielded miraculous healing results. But CBD products should be regulated for safety." Daysi Calavia-Robertson is a business reporter who covers agriculture, retail, travel and tourism, and special interest topics. She has covered lifestyle and entertainment, on-camera.